How to Choose the Best Shoes for Running? With so many options in the market, it definitely becomes one difficult job to pick the best running shoes for yourself but doesn’t worry, as always, here we are to help you in solving that confusion. Today in this article we are going to jot down a few factors that can help you in choosing the best shoes for running. So, let’s get started, it’s pretty simple to take notes! You need to figure out that which type of running shoes you need. You see there is a wide range of running shoes available in the market and you have to first determine your needs before buying any of them. 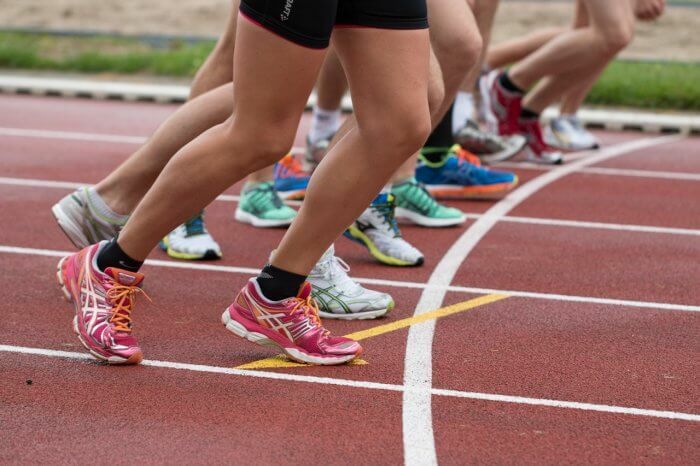 Whether you have to run a marathon, play basketball or participate in other physical sports activity, you first need to know the purpose of buying the pair shoes. You just don’t look for the price and shape of the shoes while buying it, in fact, you must know about the in-depth details of the shoes you are about to buy and especially, when it comes to running, well you should consider the surface too on which you are about to run. Road track requires less traction and lighter weight whereas trail running will require good traction and support. So, do consider this factor for best running in the best pair of shoes. Most of us often ignore this and we buy our shoes just by look at the size and shape of it and this is completely wrong. You cannot determine the comfort level and strength of a shoe until unless you try it on. So, if you are going to buy your best running shoes then make sure that you try the pair at the shop and try to walk a bit in it. Make yourself comfortable and check if it hurts at some point. Once you feel comfortable and relaxed in a pair of shoes, buy it right at the moment. There are so many more things you must consider while buying shoes among which your weight, shape of your feet, curve under your feet, all these factors matter. Also, there is a common problem among teenagers that they’ve got wide feet and it becomes difficult for them to buy shoes of the perfect size. However there are many companies that manufacture good basketball shoes for wide feet and for other sports too, you just need to make some research to find the best pair for yourself. This is it for today. Stay connected and keep reading because we’ve got a lot more to talk about shoes. Till then keep sharing and keep loving our articles. PrevTargeting Technology. Cerebro Searching as a New Method of Searching!